The Blackberry Torch 9810 is one great Blackberry smartphone offering you the best of both worlds. With this device you don't have to choose between a touchscreen or a QWERTY keyboard because both are included. This is possible because the screen actually slides upward in a portrait position to reveal the physical keyboard below. The touchscreen is actually 3.2-inches and is high resolution at 480 x 640 which is great for displaying images and the HD videos are out of this world. So if you have to send out lots of emails or Blackberry Messenger (BBM) is your preferred form of communication then you are in luck with this classic, yet innovative Blackberry Torch. Supported mobile email includes POP3/IMAP and corporate email all sent using Blackberry Push Technology (just think encrypted and highly secure). There is predictive text for faster typing and if you need to look where you're typing the backlit keys will make life much easier. Text messaging is excellent because you can send messages in multiple formats you'll be able to insert pictures, video and sound clips with ease. In the world of sports especially football they say speed kills and matter of fact the same goes for driving too. Well, buckle up when you power up the Blackberyy Torch's 1200 MHz Qualcomm Snapdragon processor. You'll find 768 MB of RAM capacity onboard ensuring all the photos, videos and other add-ons do not slow down your Blackberry. This means you'll have up to 8 GB of internal memory storage. And if that is not enough storage for you there are expansion slots of microSD, microSDHC and TransFlash allowing upto 32 GB of expandable memory storage. You definitely won't be lacking with specs like these on your Blackberry Torch 9810. One of the worst experiences is having a Blackberry cell phone that does not make it through a full day or where you have to conserve power. That day has finally come to an end when you factor in a 1270mAh Lithium Ion battery that provides up to 6.5 hours of talk time and up to 12.8 days worth of standby time. Finally, you will no longer have to carry around your charger or keep a spare battery on deck to keep you fully powered. Now you'll be able to capture any candid pictures or video footage as it takes place putting you right up there with the paparazzi. You'll have access to Research In Motion's latest operating system in Blackberry 7 OS. This is quite the upgrade if you have been accustomed to previous iterations of the software powering your Blackberry phone. Ok, so apologies for providing that extensive list of music formats because honestly who knows the differences between each one? Well, wanting to be comprehensive it is better to go overboard than to leave something out. Right up there with music are ringtones. On the Blackberry Torch 9810 you'll be able to have access to MP3 and poyphonic ringtones. So go ahead and start thinking of clever sounds for each of your contacts. When you Blackberry has an incoming call be prepared for a 32-chord melody call alert and there is support for both vibrate and a speakerphone. You'll need to stay connected to the world and this will be possible through the use of Wireless LAN in the form of 802.11b, 802.11g and 802.11n. Plus, it's almost obligatory to mention there is Bluetooth 2.1 + EDR so you'll be good to go here too. While on the go, you may need the services of satellite navigation and you'll find support for a built-in GPS module. Additional services include assisted GPS and Geotagging too. Your device will weigh in at 5.68 ounces. 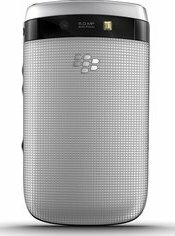 There are going to be two sizes for the Blackberry Torch 9810 for when it is closed: 4.37 x 2.44 x 0.58 inches and open: 5.81 x 2.44 x 0.58 inches.